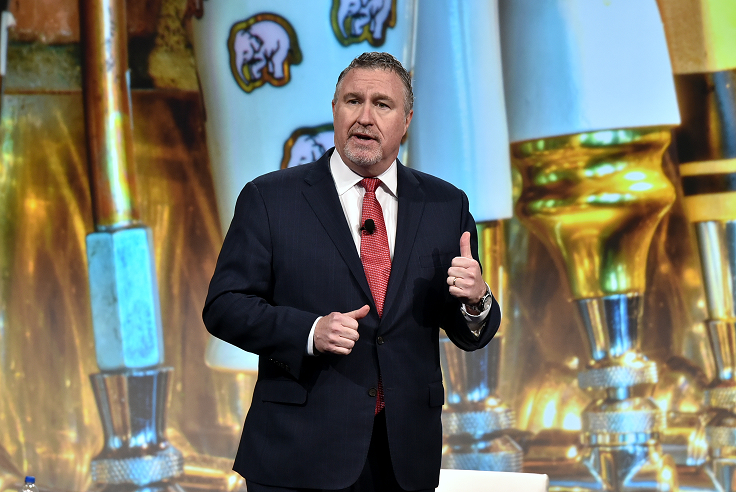 ​​San Diego, Calif. – The National Beer Wholesalers Association (NBWA) kicked off its 81st Convention in San Diego, Calif., Monday at the Manchester Grand Hyatt Hotel, welcoming beer wholesalers from across the country. NBWA President and CEO Craig Purser and outgoing Chairman Jim Matesich of Matesich Distributing welcomed the crowd of over 1,600 people and highlighted the many accomplishments of the industry over the last year. The two also unveiled the Beer Growth Initiative (BGI), an industry-wide effort to improve the category health of the beer industry. NBWA officially announced the BGI in partnership with the Brewers Association and the Beer Institute at the convention. The effort is specifically designed to identify opportunities to grow the beer category and brings together large brewers, small brewers, distributors, and industry experts to address beer’s steady decline over the last number of years. Preliminary research and discussions have sought to better understand consumers, beer policy, experience and image. Moving forward, the industry is trying to better understand and prioritize emerging legal drinking age (LDA) consumers between the ages of 21 and 29, focusing outreach on digital media and new technology. During his speech, Matesich also discussed the need for the industry to work collaboratively toward the common good and stop running each other down. As a united industry, “beer-shaming needs to end,” Matesich said to the crowd. He explained, whether consumers “are drinking a light lager or a pumpkin ale, they are drinking beer,” and “those consumers should be the final judge” of the products they prefer. Another topic Matesich addressed was recent supplier terminations of beer distributors without cause. In his speech, he encouraged distributors to be involved in their state associations to ensure that state franchise laws which protect distributor independence remain strong. Matesich also recognized three stories of “Everyday Heroes,” showcasing beer distribution employees who went above and beyond to help neighbors in need on their delivery routes. From talking a man off a bridge to helping a driver having a medical emergency and saving a store clerk from an attacker, these stories exemplify the heart of beer distribution employees. Purser and Matesich also had the great honor of presenting the Life Service Award to late Sen. John McCain, a member of the beer distribution family, for his embodiment of service to the country. Accepting the award on behalf of the McCain family were McCain’s son Andy, president of Hensley Beverage Company, and Bob Delgado, CEO of Hensley Beverage Company. The first day of the conference included several educational seminars, spirited speakers and panel discussions. Among the speakers were award-winning marketing executive Bonin Bough and renowned pollster Frank Luntz. As one of the youngest C-suite executives in a Fortune 500 company, Bough spoke to attendees about revitalizing traditional consumer products and thinking differently about approaching their thought process. Luntz also gave attendees an in-depth analysis of the shifts in the political climate and discussed the upcoming midterm elections. Additionally, past NBWA leaders shared how disruption is affecting their current industries. Andy England, former CMO of MillerCoors and current CEO of National CineMedia joined Dave Peacock, president and chief operating officer of Schnuck Markets and former president of Anheuser-Busch in a discussion about the future of food and beverage and how eCommerce and data will impact consumer purchasing decisions.